Nintendo has enjoyed enormous success with its Switch games console – selling 19.67 million units worldwide since its launch back in March 2017. The hybrid console, which can be used to play games on-the-go in handheld mode, or docked to a TV to enjoy Mario on the big screen, has also helped Nintendo to shift more than 86.93 million software sales, too. According to a new report from the Wall Street Journal, Nintendo is hoping to capitalise on the success of the Switch with an updated console next year. 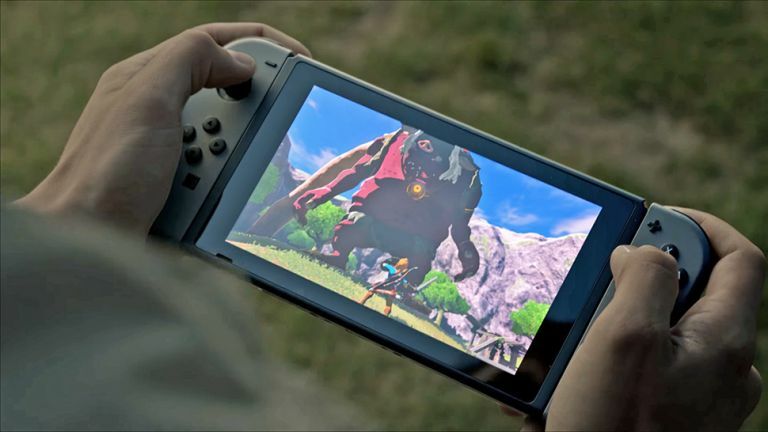 The revamped Nintendo Switch will purportedly jettison the washed-out 6.2-inch 720p LCD display currently used when playing games in handheld mode. This is tipped to be replaced with a much sharper LED screen – the same display technology found on the likes of the Essential Phone and iPhone XR. LED displays provide much richer colours than LCDs, which should make the colourful vistas in Legend Of Zelda: Breath of the Wild really pop. While OLED could provide more impressive colours and deeper blacks for the home/handheld hybrid console, it would also significantly bump-up the price tag. It's unclear whether Nintendo is looking to increase the 720p resolution of Switch to full HD, which the console can output when connected to a 1080p television. According to sources inside Nintendo, the updated hardware is planned for the second half of 2019, but could launch as soon as summer. A redesign to the Nintendo Switch is inevitable at some point during its lifecycle. Nintendo has launched a number of iterative updates for its portable games consoles over the years in a bid to reinvigorate sales. For example, the Japanese company followed up the original 3DS with the 3DS XL, the New 3DS/XL, the 2DS, and the New 2DS XL. While each of these dips into the same software library, each console has its own unique spin on the design, power, and screen size to cater to different players. The Sony PS4, which launched in 2013, has also seen at least three iterative updates – same as the Microsoft Xbox One, which launched that same year. A more premium, LCD-equipped Nintendo Switch could be a way to appeal to those who are willing to pay a little more to guarantee they get the best possible experience while playing on their morning commute. Nintendo hopes to sell 20 million units in the year ending March 2019.